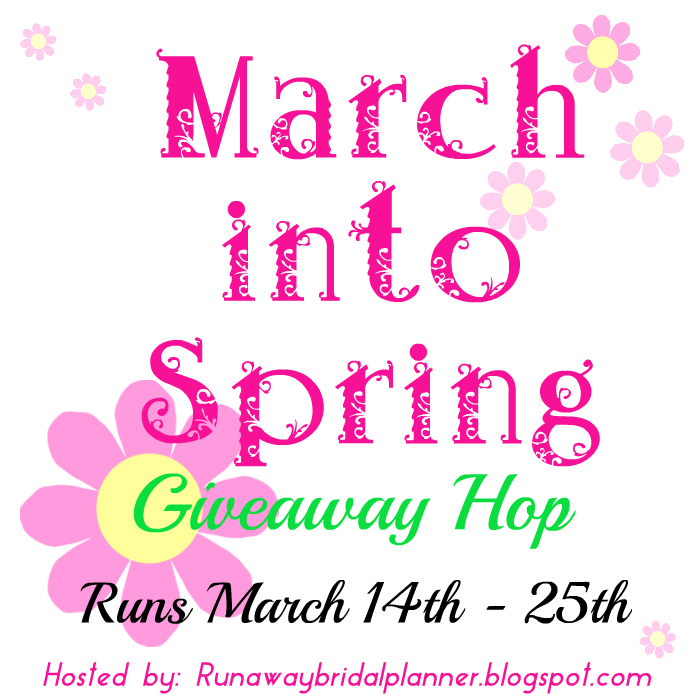 Heck Of A Bunch: March into Spring Giveaway Hop - Shushybye Music CD "Cool-lection"
March into Spring Giveaway Hop - Shushybye Music CD "Cool-lection"
Welcome to the March into Spring Giveaway Hop, hosted by Runaway Bridal Planner. This hop has over 25 participants. As you have time over the next 2 weeks, visit each blog and enter their giveaways, for lots and lots of chances to win. At the end of this post, you'll find a list of other blogger names. After you enter my giveaway, click on the next name on the list and visit their giveaway. Each blog you visit, has the participant list posted at the bottom, making it easy to visit and quickly enter lots and lots of great giveaways. It gives you a chance to come across some amazing blogs you might not have known about otherwise. Shushybye is celebrating its launch on Netflix! Recently Shushybye, a multi award-winning and critically-acclaimed children’s music-centric television series, found a home on Netflix. (Info: You actually have to enter "Shushybye" in the search area to find the show). To celebrate the Netflix debut, I'd like to offer you the Shushybye Music CD ‘Cool-Lection”. The Shushybye Music CD ‘Cool-Lection” ($44.88) is comprised of five individual best-selling Shushybye music CDs (69 songs in all) and saves 15% when purchased as the 5-CD collection. I have heard of this show but have never seen it yet. It looks like a great childrens show though. they have not seen it yet. No, my son hasn't watched it. Unfortunately. my granddaughter lives across country so I am not sure as to whether she has ever watched it or not. It definitely looks like something she would love. We are not familiar with Sushabye but I think my grandson would love it. We were just watching Shushybye! Yes, my oldest liked it when she was younger and now her younger sister watches it. no. we haven't seen shushybye. yes they are big fans of shushybye, it's one of their favorites. I have not heard of and are not familiar with Sushabye. This is the first I have heard of Shushybye. They have not seen it yet. This would be great to give to the grandbabies. yes we used shushybye dvd with my older daughter! Thanks so much for the chances to win. They have not seen it but the children in my daycare would love this. Our kids have never seen it, but we are going to check it out! So funny to see your blog today! We had never heard of Shushabye until this week when I accidentally found it on Netflix. My daughters both love it. The 2-year-old dances to the music then it helps her wind down for bedtime. My 7-month-old is mesmerized by it, too, & she usually is not interested in TV. Such a clever show! No but it sounds like a very good program.I am going to look into it for them! I've never heard of it, so my daughter hasn't watched it. She's more into Peppa Pig at the moment, but she LOVES listening to music and would doubtless enjoy this even without having watched the show. we have never seen this program. I have never seen the program and I am sure my son hasn't either. We haven't seen Shushybye yet! No, he hasn't seen it yet! My nephew loves to watched Shushybye. This is a great giveaway.